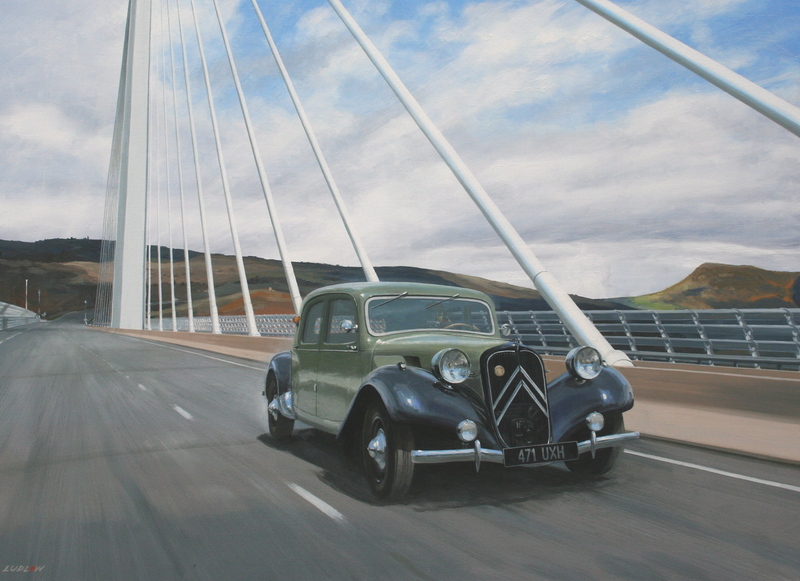 Modestine, 1951 Citroën Traction 11BL, crosses the Viaduc de Millau. French technology, old and new. Oil on canvas. Christopher Ludlow, 2010.